As inquisitive beings, we are constantly questioning and quantifying the speed of various things. With a fair degree of accuracy, scientists have quantified the speed of light, the speed of sound, the speed at which the earth revolves around the sun, the speed at which hummingbirds beat their wings, the average speed of continental drift…. These values are all well-characterized. But what about the speed of thought? It’s a challenging question that’s not easily answerable – but we can give it a shot. Here, a “thought” includes processes related to perception (determining what is in the environment and where), decision-making (determining what to do) and action-planning (determining how to do it). The distinction between, and independence of, each of these processes is blurry. Further, each of these processes, and perhaps even their sub-components, could be considered “thoughts” on their own. But we have to set our start- and endpoints somewhere to have any hope of tackling the question. Finally, trying to identify one value for the “speed of thought” is a little like trying to identify one maximum speed for all forms of transportation, from bicycles to rockets. There are many different kinds of thoughts that can vary greatly in timescale. Consider the differences between simple, speedy reactions like the sprinter deciding to run after the crack of the starting pistol (on the order of 150 milliseconds [ms]), and more complex decisions like deciding when to change lanes while driving on a highway or figuring out the appropriate strategy to solve a math problem (on the order of seconds to minutes). Even looking inside the brain, we can’t see thoughts. 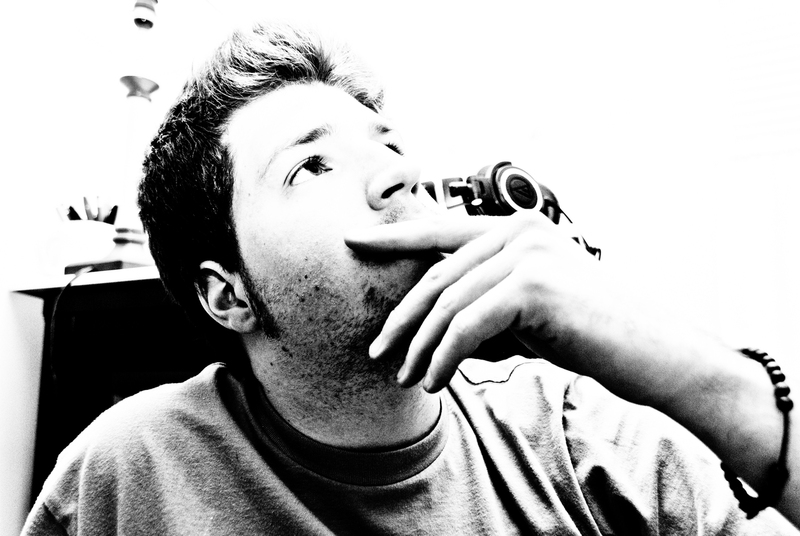 Thoughts are invisible, so what should we measure? 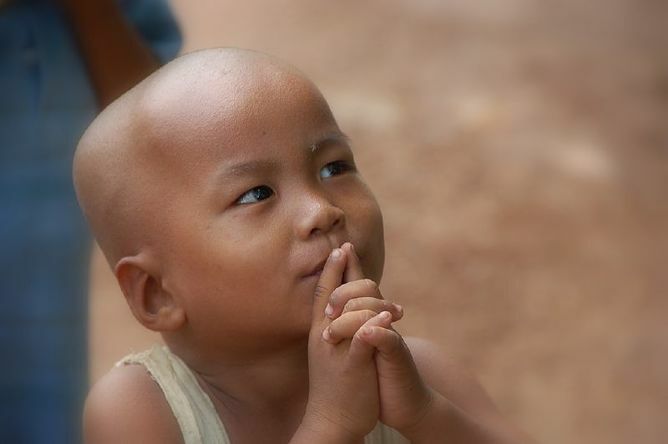 Thought is ultimately an internal and very individualized process that’s not readily observable. It relies on interactions across complex networks of neurons distributed throughout the peripheral and central nervous systems. 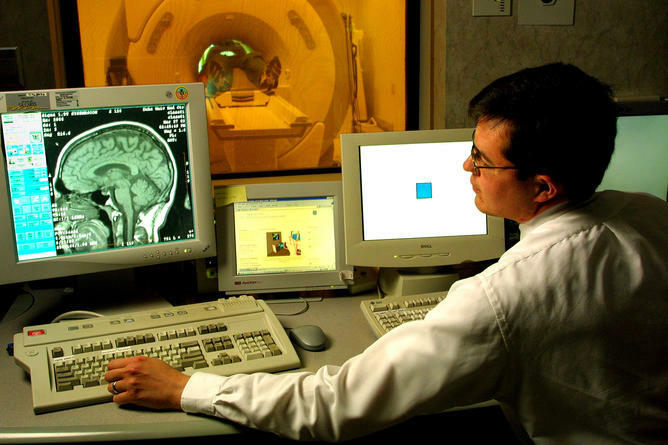 Researchers can use imaging techniques, such as functional magnetic resonance imaging and electroencephalography, to see what areas of the nervous system are active during different thought processes, and how information flows through the nervous system. We’re still a long way from reliably relating these signals to the mental events they represent, though. Many scientists consider the best proxy measure of the speed or efficiency of thought processes to be reaction time – the time from the onset of a specific signal to the moment an action is initiated. Indeed, researchers interested in assessing how fast information travels through the nervous system have used reaction time since the mid-1800s. This approach makes sense because thoughts are ultimately expressed through overt actions. Reaction time provides an index of how efficiently someone receives and interprets sensory information, decides what to do based on that information, and plans and initiates an action based on that decision. 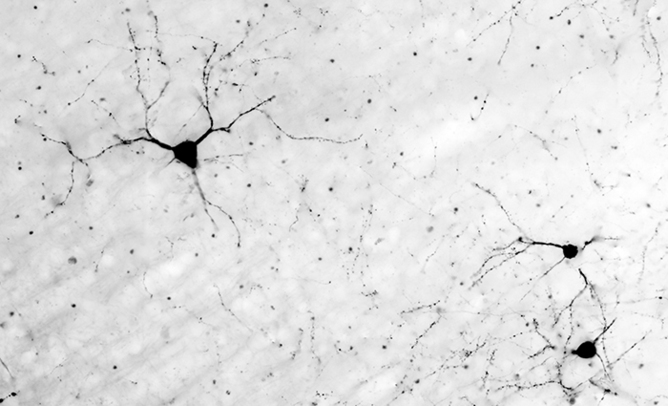 Neurons do the work of transmitting thoughts. Distance – The farther signals need to travel, the longer the reaction time is going to be. Reaction times for movements of the foot are longer than for movements of the hand, in large part because the signals traveling to and from the brain have a longer distance to cover. This principle is readily demonstrated through reflexes (note, however, that reflexes are responses that occur without “thought” because they do not involve neurons that engaged in conscious thought). The key observation for the present purpose is that the same reflexes evoked in taller individuals tend to have longer response times than for shorter individuals. By way of analogy, if two couriers driving to New York leave at the same time and travel at exactly the same speed, a courier leaving from Washington, DC will always arrive before one leaving from Los Angeles. Neuron characteristics – The width of the neuron is important. Signals are carried more quickly in neurons with larger diameters than those that are narrower – a courier will generally travel faster on wide multi-lane highways than on narrow country roads. Nerve signals jump between the exposed areas between myelin sheathes. How much myelination a neuron has is also important. 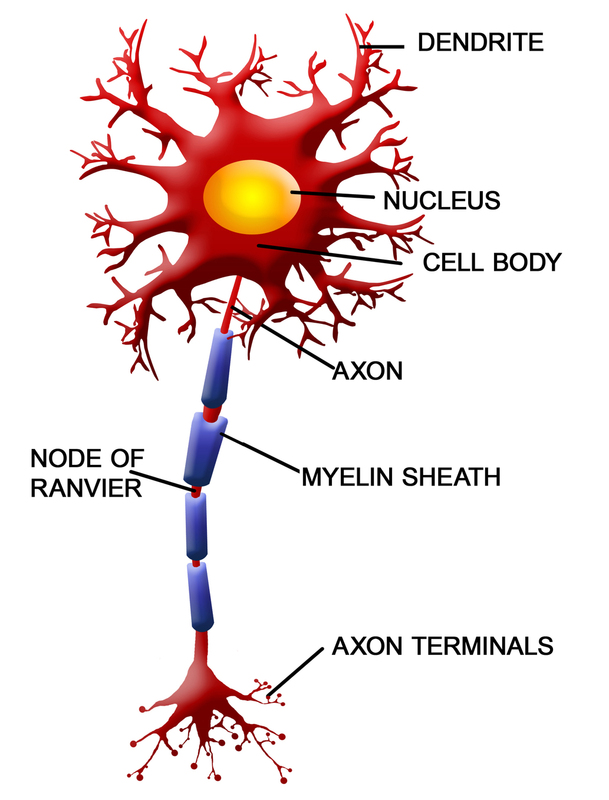 Some nerve cells have myelin cells that wrap around the neuron to provide a type of insulation sheath. 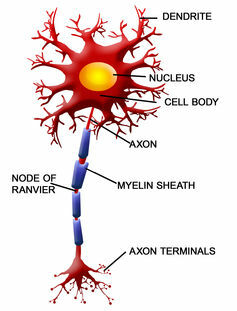 The myelin sheath isn’t completely continuous along a neuron; there are small gaps in which the nerve cell is exposed. Nerve signals effectively jump from exposed section to exposed section instead of traveling the full extent of the neuronal surface. So signals move much faster in neurons that have myelin sheaths than in neurons that don’t. The message will get to New York sooner if it passes from cellphone tower to cellphone tower than if the courier drives the message along each and every inch of the road. In the human context, the signals carried by the large-diameter, myelinated neurons that link the spinal cord to the muscles can travel at speeds ranging from 70-120 meters per second (m/s) (156-270 miles per hour[mph]), while signals traveling along the same paths carried by the small-diameter, unmyelinated fibers of the pain receptors travel at speeds ranging from 0.5-2 m/s (1.1-4.4 mph). That’s quite a difference! Complexity – Increasing the number of neurons involved in a thought means a greater absolute distance the signal needs to travel – which necessarily means more time. The courier from Washington, DC will take less time to get to New York with a direct route than if she travels to Chicago and Boston along the way. Further, more neurons mean more connections. Most neurons are not in physical contact with other neurons. Instead, most signals are passed via neurotransmitter molecules that travel across the small spaces between the nerve cells called synapses. This process takes more time (at least 0.5 ms per synapse) than if the signal was continually passed within the single neuron. The message carried from Washington, DC will take less time to get to New York if one single courier does the whole route than if multiple couriers are involved, stopping and handing over the message several times along the way. In truth, even the “simplest” thoughts involve multiple structures and hundreds of thousands of neurons. It’s amazing to consider that a given thought can be generated and acted on in less than 150 ms. Consider the sprinter at a starting line. The reception and perception of the crack of the starter’s gun, the decision to begin running, issuing of the movement commands, and generating muscle force to start running involves a network that begins in the inner ear and travels through numerous structures of the nervous system before reaching the muscles of the legs. All that can happen in literally half the time of a blink of an eye. 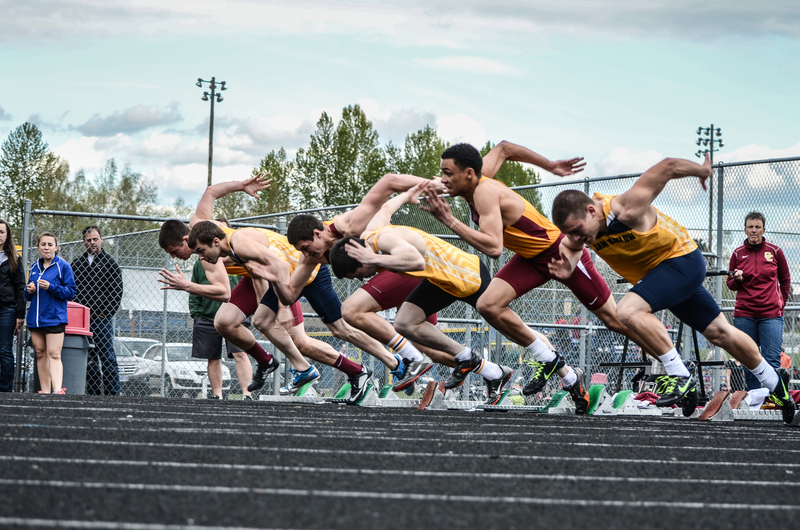 Although the time to initiate a sprint start is extremely short, a variety of factors can influence it. One is the loudness of the auditory “go” signal. Although reaction time tends to decrease as the loudness of the “go” increases, there appears to be a critical point in the range of 120-124 decibels where an additional decrease of approximately 18 ms can occur. That’s because sounds this loud can generate the “startle” response and trigger a pre-planned sprinting response. Researchers think this triggered response emerges through activation of neural centers in the brain stem. These startle-elicited responses may be quicker because they involve a relatively shorter and less complex neural system – one that does not necessarily require the signal to travel all the way up to the more complex structures of the cerebral cortex. A debate could be had here as to whether or not these triggered responses are “thoughts,” because it can be questioned whether or not a true decision to act was made; but the reaction time differences of these responses illustrate the effect of neural factors such as distance and complexity. Involuntary reflexes, too, involve shorter and simpler circuitry and tend to take less time to execute than voluntary responses. 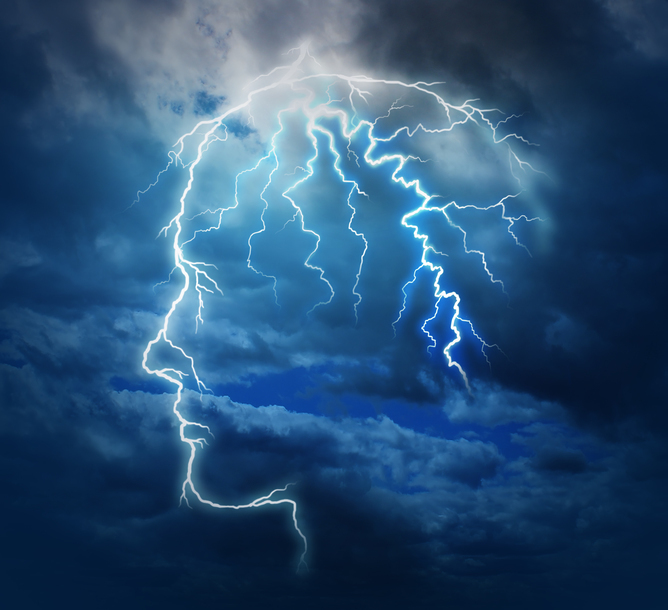 How well can we gauge our own speed of thought? Considering how quickly they do happen, it’s little wonder we often feel our thoughts and actions are nearly instantaneous. But it turns out we’re also poor judges of when our actions actually occur. Although we’re aware of our thoughts and the resulting movements, an interesting dissociation has been observed between the time we think we initiate a movement and when that movement actually starts. In studies, researchers ask volunteers to watch a second hand rotate around a clock face and to complete a simple rapid finger or wrist movement, such as a key press, whenever they liked. After the clock hand had completed its rotation, the people were asked to identify where the hand was on the clock face when they started their own movement. Surprisingly, people typically judge the onset of their movement to occur 75-100 ms prior to when it actually began. This difference cannot be accounted for simply by the time it takes for the movement commands to travel from the brain to the arm muscles (which is on the order of 16-25 ms). It’s unclear exactly why this misperception occurs, but it’s generally believed that people base their judgment of movement onset on the time of the decision to act and the prediction of the upcoming movement, instead of on the movement itself. These and other findings raise important questions about the planning and control of action and our sense of agency and control in the world – because our decision to act and our perception of when we act appear to be distinct from when we in fact do. In sum, although quantifying a single “speed of thought” may never be possible, analyzing the time it takes to plan and complete actions provides important insights into how efficiently the nervous system completes these processes, and how changes associated with movement and cognitive disorders affect the efficiency of these mental activities. Tim Welsh is Professor of Kinesiology and Physical Education at University of Toronto.